Not only do Interior French Doors add a big touch of class to any home, they also open up adjoining rooms, giving the illusion a space is bigger than it is, and allow light to pass through. French doors typically become the focal point of a room and create an inviting feel. 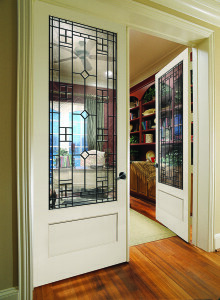 This style door is definitely a favorite among homeowners. are best where high heat and humidity are a factor. MDF French Interior Doors are also recommended when the doors will be painted. This option is typically more cost effective and readily available. Not sure what is going to look best in your home? Or maybe your budget is the determining factor on which option to go with? Not a problem. We can work with your budget and give some guidance on what options are going to work best with your home décor, provide the quality you are looking for and work within a budget.